If we have to select two Classic music artists from South Asia, whose fame truly reached Western audiences as well, it has to be Ravi Shankar and Ustad Nusrat Fateh Ali Khan. India and Pakistan has produced many geniuses when it comes to music, however, Ravi Shankar and Nusrat Sahib were truly the Musician of Musicians, two musical geniuses who not only inspired the generation of their own time but every generation afterwards. What set both a class apart was the their God-gifted talent backed by classically training in a variety of music genres. 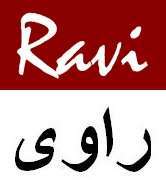 It helped Ravi Shankar and Nusrat Fateh Ali Khan rule their respective genres of Classical music, Sufiana Kalam and Qawwali for more than 2 decades. Ravi Shankar performed with superstars such as The Beatles and Nusrat Fateh Ali Khan did the same with music giants such as Peter Gabriel and Eddie Vedder. Their music continue to be part of movie soundtracks from Hollywood to Bollywood. 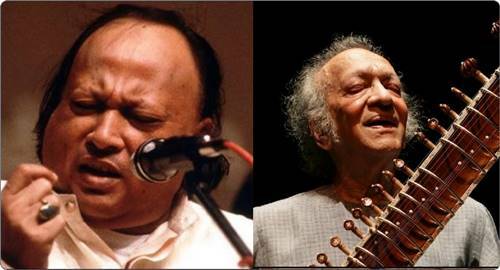 Both left behind a strong legacy in forms of successors [Rahat Fateh Ali Khan by Nusrat Fateh Ali Khan; Anoushka Shankar by Ravi Shankar].